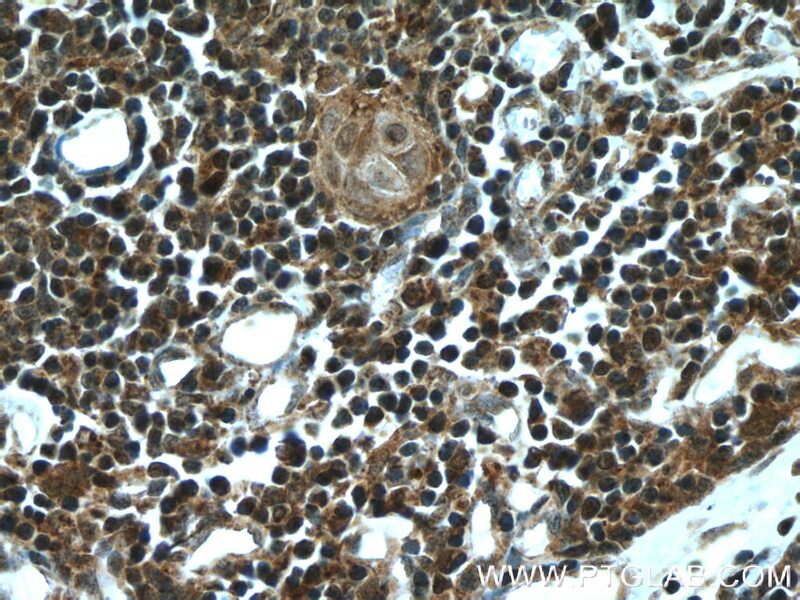 Immunohistochemical analysis of paraffin-embedded human thymus tissue slide using 22517-1-AP( AIRE Antibody) at dilution of 1:200 (under 40x lens). heat mediated antigen retrieved with Tris-EDTA buffer(pH9). The function of the protein is not well defined, however it contains zinc finger motifs suggestive of a transcription factor. The protein (isoform 1) is localized to both the nucleus and cytoplasm. Three splice variant mRNAs products have been described . The longer AIRE1 mRNA appears to be more abundant and includes exons 1 through 14. Splice variant AIRE2 includes a portion of the non-coding region of exon 1, an alternatively spliced longer exon 8, plus exons 9 through 14. Variant AIRE3 includes the same exon 1-8-9 sequences as found in AIRE2 but utilizes additional alternative splicing in exon 10 that shifts the reading frame such that a stop codon in exon 12 is utilized. The resulting protein products of these splice variants differ significantly. Defects in this gene cause the autosomal-recessive systemic autoimmune disease termed autoimmune polyendocrinopathy-candidiasis-ectodermal dystrophy (APECED). 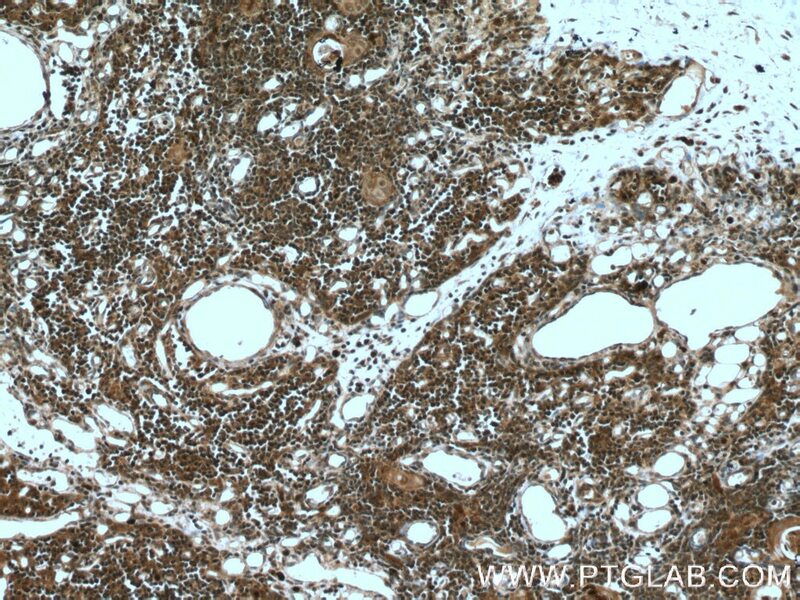 Immunohistochemical analysis of paraffin-embedded human thymus tissue slide using 22517-1-AP( AIRE Antibody) at dilution of 1:200 (under 10x lens). heat mediated antigen retrieved with Tris-EDTA buffer(pH9).